Automation is, of course, not an entirely new concept in networking. Any operations engineer worth their salt has been doing some form of automation, like writing scripts, for years. While this type of narrow-scope automation is worthwhile, it is insufficient for complex networks. 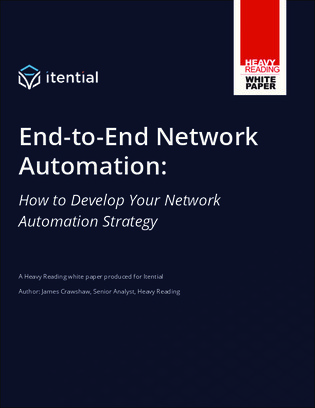 This white paper explores what it takes to create a more holistic and effective network automation strategy.